The plug-in hybrid segment is crucial to the success of automakers in the U.S. market. Hybrid sales are down, gas prices are down (these two factors are probably not coincidental,) but there’s a reason car companies are improving and refreshing vehicles that aren’t selling anywhere near as well as the trucks and SUVs Americans are currently buying like hotcakes: if car companies want to meet the new, stringent federal fuel efficiency standards that go into place in 2020, they need to make their fleets greener. Plug-in hybrids are the only cars today that automakers can be sure will boost their efficiency numbers. Most big sedans fail to even make it halfway to their emissions goals, and plug-ins are tailor-made to offset that deficiency. The silver-lining to the plug-in trend? They can be really fun to own and drive. 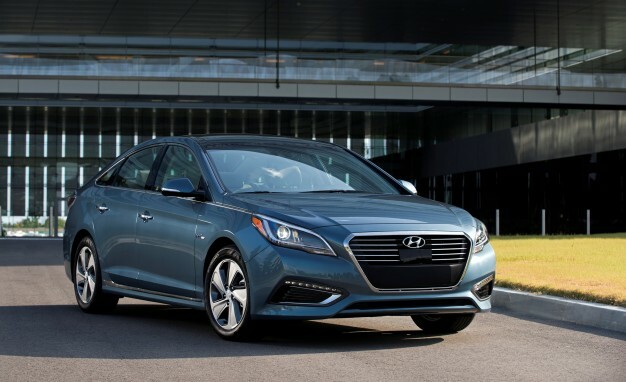 Hyundai recently unveiled the 2017 Sonata Plug-in Hybrid, and it merges the smooth ride and near-luxury comfort of Hyundai’s flagship sedan with a 27-mile electric-only range, the best in its class and an improvement from last year’s best-in-class range. So when you have a 27-mile kind of day ahead of you, don’t worry about finding a pump; the plug-in Sonata has you covered, and you’ll experience the go-kart like joy of electric driving as an added bonus. But when that range runs out, a plug-in hybrid does what an electric car can’t: keep moving. The Sonata Plug-in Hybrid can take you up to 590 miles on one tank, and gets exceptional gas-mileage while doing it. So whether you believe that gas won’t stay cheap forever (it won’t,) or you simply want a heck of a car for the money, consider taking a test drive in one of our plug-in Sonatas, but be warned: once you go electric, it’s hard to go back.